Maine Gov. 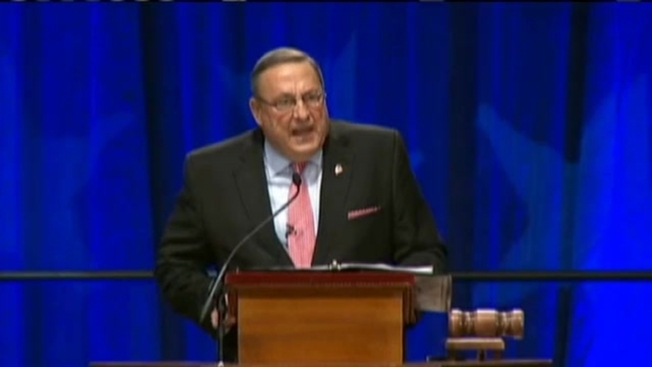 Paul LePage will continue his campaign for his proposed budget during his State of the State address this week. LePage's speech on Tuesday before a joint session of the politically divided House and Senate is expected to focus on his plan to overhaul the tax code. The Republican says the only way to improve Maine's business climate and competitiveness is to move more toward what he calls a "pay as you go" tax system, by cutting the income tax and expanding the sales tax base. But critics contend that LePage's plan would benefit the richest while shifting the burden onto the lower and middle class with increased sales and property taxes. They warn that it could result in funding cuts for programs and schools down the road.